I have been wanting to read this book and my son gave it to me for Christmas; I was not disappointed. 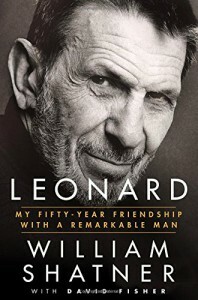 I learned a lot about Leonard Nimoy that I did not know, like that fact that he was a poet. Truly enjoyed this book.